Instagram singlehandedly set the trend of photography apps that allow users to take a quick photograph, apply a “filter” and then share it on social networks. It launched back in late-2010 on the iPhone 4 and has, since then, gained over 10 million users; it is one of the most popular iPhone apps today and is strongly awaited on Android. Dozens of Instagram-alternatives are available on the market, but only a select few stand out. The photography app we’re covering today is one of the latter: it lets you take beautiful panoramic shots, apply a filter on them and share online. Check it out after the jump! Wouldn’t you like a view of the really big panorama picture? 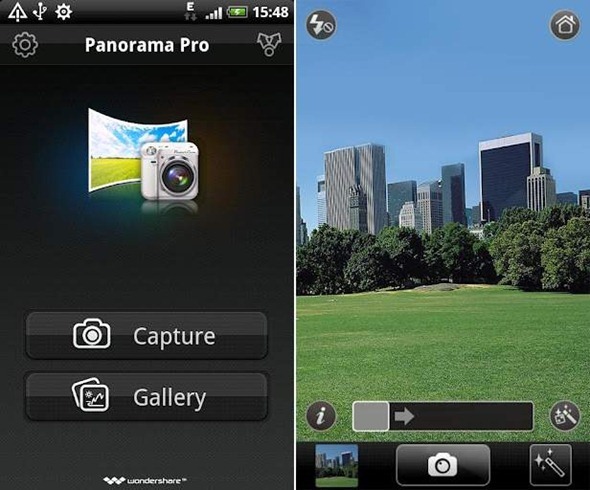 Try Panorama Pro, take stunning panoramas easily! You just need to click the Capture button, and sweep the scene rightwards or leftwards slowly and steadily. We’ve tested* the app on a Samsung Galaxy S II on Android 2.3 Gingerbread and can confirm that the app works as advertised and to be quite honest, its very, very easy to use and will take an average user a couple of minutes to get acquainted with it. When you launch the app for the first time, it guides you through its core features. 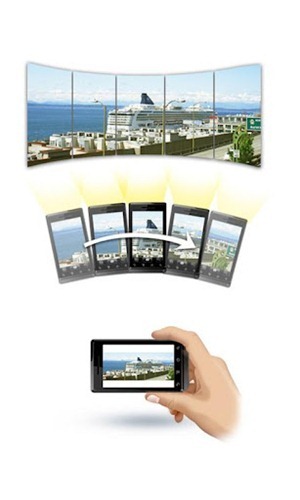 You are then taken straight to the viewfinder where you can capture a panorama. The process is simple: press the shutter button to start capturing and then pan left/right as smoothly as you can until the panorama is complete. You can then choose to add one of the three filters (Old Photo, Color Sketch, Black & White) and share the photo on Facebook/Twitter. Those of you who are interested in the app can download it for free from the link embedded below. *I would actually post a sample panorama, but it’s night-time where I am right now so our readers will have to settle with the ones included over on Android Market.